But if all you have are feature specs, does that mean you have start from scratch? Luckily, no, you don’t. You can rework your feature into a dramatic TV pilot. Here are seven things to keep in mind. One could argue that feature movies are really just fairy tales, with a beginning, middle and end. TV shows, however, are all really soap operas with a beginning and a middle, and a middle and more middle. Resolution may only come when the show is going off the air. A show like Game of Thrones is a good example. 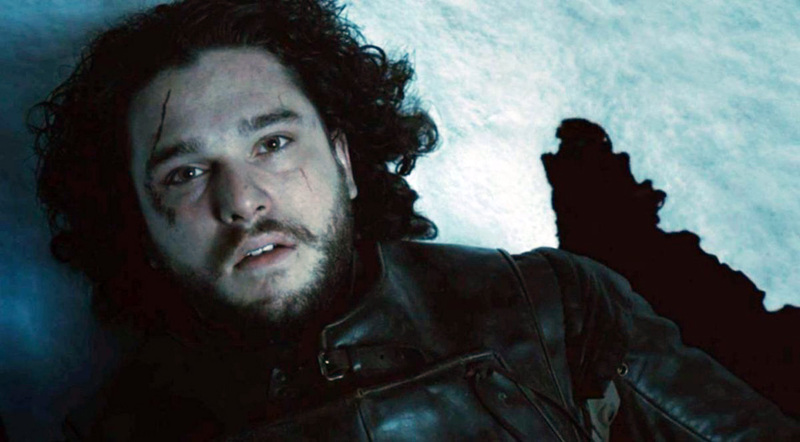 Yes, it’s fantasy and the dragons are amazing, yes, it’s action and there are brutal battles with magical weapons, but at the end of the day, we all want to know if Daenerys is going to end up with Jon Snow. The more conflict you can bestow onto your characters, the better. Cersei and Jamie Lannister aren’t just lovers, they are brother and sister, adding that extra layer of conflict. Tyrion isn’t just the black sheep of the family, he’s also a dwarf, adding more conflict. In TV, conflict is king. In a feature screenplay, we often have to compress a lot of story into a two-hour feast. For a TV show, you get eight to 12 hours (more if it’s on a major network or goes into multiple seasons) to tell your story, so you’ll need to really parcel out the story in bites. Focus on your first act of the feature screenplay. Find the conflict and add another layer. It will feel like little is happening in your pilot as compared to your feature screenplay, but that is the point. Your pilot only needs set up a world where a larger story can take place over many hours. It’s imperative that there’s a hook in the final scene of your pilot to make sure your audience is desperate to watch the next episode. Every network, from Hulu to ABC, is looking for the next show people want to binge. 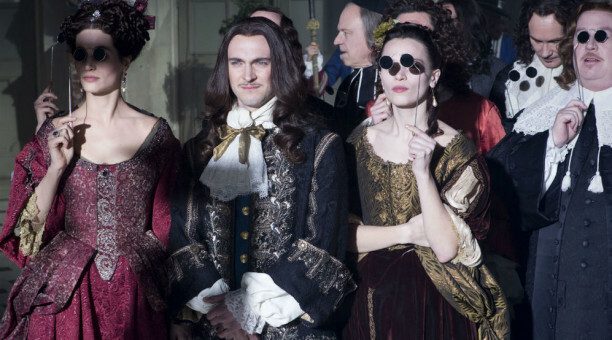 The pilot for Ovation’s Versailles has a jaw-dropping twist/hook that locked me in (I don’t want to spoil it, watch it for yourself on Netflix). The teaser will be two to three pages that will introduce the reader/viewer into the world of your pilot. It will tease the main conflict of the show. This will also need to have a hook to ensure the viewer will want to keep watching. Even if you are writing a show you know will only work on cable or for a streaming service like Netflix, put it into acts. This will help both you and your reader navigate where they are in the story. Find the pilot script from a show you like that is similar in tone to the one you are writing (there are several websites dedicated to sharing screenplays & teleplays, I’ve also had luck on Reddit). Six acts seems to be popular nowadays but the standard four still works. I promise you’ll be glad you added this extra step. Every studio or producer will expect this. The bible summarizes the story you envision for the next eight to twelve episodes. Use an active voice as you write the summary for each upcoming episode, and don’t make them too long. One paragraph for each episode works. Also include character bios and a summary of the major story arc for the season. Think of this as your sales pitch and include why people will want to watch the show (e.g. it’s a untold story, or it’s groundbreaking in some way, or it sheds light on something happening in society today). 55 to 65 pages is good for a dramatic pilot. Do not go over 65 or under 55. Do you have a feature you want to turn into a TV pilot? Let us know! 11 Replies to "Turn your feature screenplay into a TV pilot using these 7 steps"
Thanks for the info. I have little knowledge of TV writing, but I do know that it is the new frontier, along with streaming. Your insights I found enlightening and intriguing. Yes, I am working with an Author on her book adaptation and after shooting the Short Film, I realized a TV Series Pilot is the best approach right now. We still will be open to the screenplay to the big screen even a theatrical play, but the cast and the story really works for Television, it is timely, trendy and a story that need to be shared. Thanks for this great article, show us how! I’ve got two supernatural features that would make pilots / series of some excellence (of course, my judgement may be clouded on that). Currently thinking about how to convert them into the shorter form – but, perhaps more importantly, where to send them. This was a very good article and it just helped me make up my mind about my feature. As of now, I am going through the Master Screenwriting Certificate course and I have been struggling on if I should turn my feature into a mini-series. After this article, I plan on continuing to learn how to write a show Bible and begin the 1st episode and then piece together the following episodes. Hi York, am I to assume the ship is metallic, silver and circular in nature? 🙂 You are onto something. A conclusion I had also long came to after research for my Roswell UFO script. Keep seeking, both time lines will converge. Ancient Alien and Biblical. I have three screen plays. The first could be stretched to 70 minutes. The second, a retelling of an Arthurian legend, doesn’t introduce one of the two main characters until well into Act II. The third, might be a candidate. I reluctantly pared it down from 210 pages to 135. Most of it takes place in two settings at the same time, with two sets of characters, some shared conflicts, some unique. That seems like the one. Plus, I always have the 135 pp treatment. Thanks a lot for the great advice and insights! It’s illuminating — creatively, aesthetically, and pragmatically (business/pitching-wise).